Mn0.5Fe0.25Ca0.25Fe2O4@starch@aspartic acid magnetic nanoparticles (MNPs) as a new green nanocatalyst were designed and synthesized by a coprecipitation procedure. The structure of the aspartic-acid-loaded starch-functionalized Mn0.5Fe0.25Ca0.25Fe2O4 nanoparticles was evaluated by powder X-ray diffraction analysis, Fourier-transform infrared spectroscopy, vibrating-sample magnetometry, scanning electron microscopy, energy-dispersive X-ray spectroscopy, and thermogravimetric analysis. The ferrite magnetic nanoparticles exhibited superparamagnetic nature with saturation magnetization of 35 emu/g. The impact of the MnFeCaFe2O4@starch@aspartic acid MNPs was investigated in synthesis of 3,4-dihydropyrimidine derivatives by multicomponent reaction between thiourea/urea, acetylacetone, and various aryl aldehydes under solvent-free conditions. Facile workup, short reaction time, superb yield, and use of a reusable catalyst are the advantages of this method. The magnetic nanocatalyst was easily recovered and reused six times without considerable reduction in its catalytic activity. 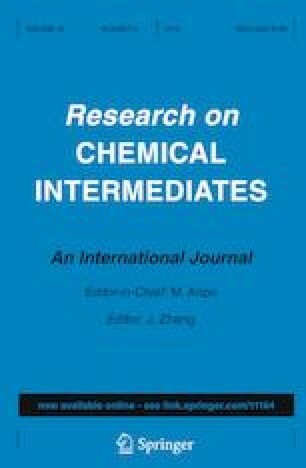 The in vitro antibacterial activity of all synthesized pyrimidine derivatives was studied by agar well diffusion assay technique against four pathogenic bacterial strains, namely Staphylococcus aureus (ATCC no. 6538) and Staphylococcus epidermidis (ATCC no. 12228) as Gram-positive bacteria and Pseudomonas aeruginosa (ATCC no. 9027) and Escherichia coli (ATCC no. 8739) as Gram-negative bacteria. All compounds exhibited greater antibacterial activity compared with the reference drug ciprofloxacin. The authors thank Emad Darman Pars Pharmaceutical Company for financial support.